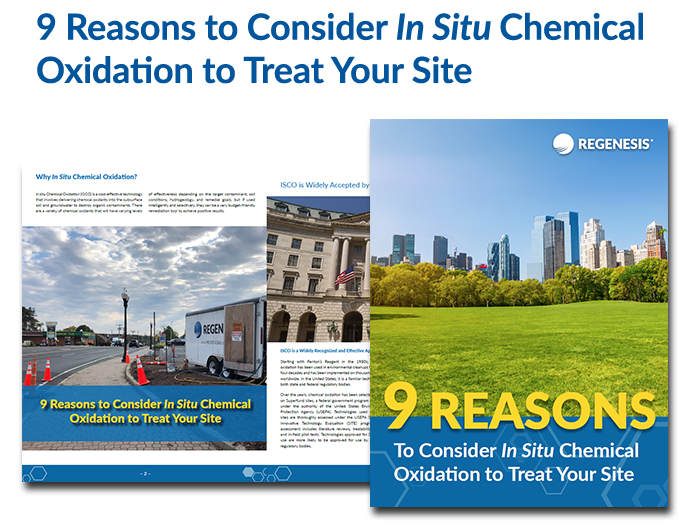 This ebook outlines the benefits of in situ chemical oxidation (ISCO). There are a variety of chemical oxidants that will have varying levels of effectiveness depending on the target contaminant, soil conditions, hydrogeology, and remedial goals, but if used intelligently and selectively, they can be a very budget-friendly remediation tool to achieve positive results. In situ Chemical Oxidation (ISCO) is a cost-effective technology that involves delivering chemical oxidants into the subsurface soil and groundwater to destroy organic contaminants. ISCO can be applied in a variety of ways, and is a safe and effective remediation approach. It is also applicable to a range of subsurface conditions and is scientifically proven to achieve rapid results. Complete the form on this page to download the free ebook.